Having a baby is awesome. The transformation a woman goes through during pregnancy and then the empowering feeling of birthing a beautiful little soul is amazing. It’s also really hard. The monumental body changes, the physical, emotional and mental toll it all takes. Transformation is hard. Transitioning is hard. Being a mom, is hard. 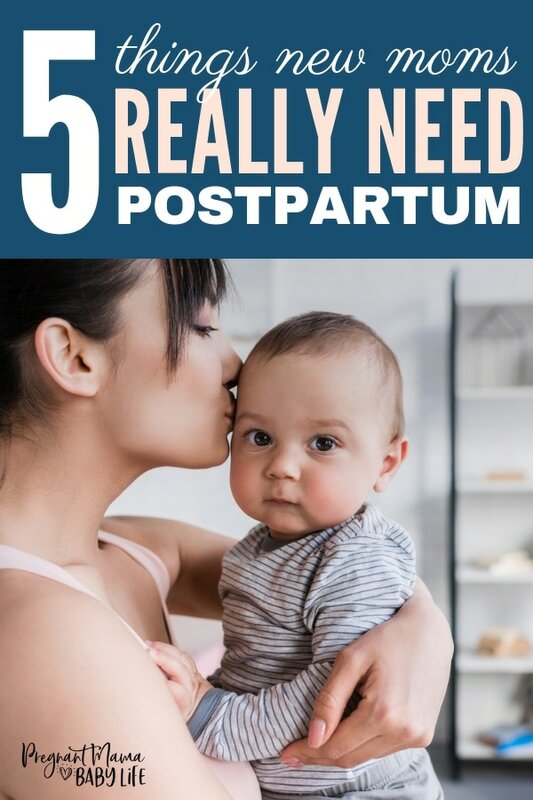 Even after going through all these transitions and birth itself (you know… the exhaustion, the pain, and the injury) so few moms take care of themselves. And no matter how much you love being a new mom, it will wear on you. So, what is a new mom to do? Here are the things new moms actually need during their postpartum period. New moms need permission to care for themselves. This means permission from their partners, their family, their other children, and most importantly, permission from themselves. I felt so guilty asking for help with my first baby. I never slept and I was struggling big time. My body hurt, I could feel that it was damaged from pregnancy and birth. I knew I needed to heal. But I couldn’t ask for help and I couldn’t take time the time my body needed. If I did, it meant I was a failure as a mother. Who has a baby, and then can’t take care of it themselves?? Not a good mom. I get this thought is totally ridiculous! I know that. But at the time it felt real and I refused to “bother” anyone else and ask them for help. Do yourself a favor, give yourself permission to rest and care for your needs! This is not a selfish request. It’s self-preservation. You are important. Mom’s tend to be the hub in which the household revolves around. You care and nurture your whole family. You need to be strong, competent and capable. If you crumble, how will you take care of anyone else? It is your duty, to care for yourself first. After all, healing should be one of your top things to do on maternity leave. A plan for recovery will help you heal better and faster. If you can figure out what you need before birth, and have it all ready, you’ll be so glad! I find it especially helpful to figure out who can help you ahead of time, and then discuss it with them. It takes away the frustration of waiting for someone to offer help and feeling “selfish” when taking it. If you ask a loved one ahead of time to come by once or twice a week for a particular task, they will likely be thrilled to give you help that you actually need. A postpartum recovery kit is a must-have. Your body will need some TLC after birthing your baby. Even if you plan a vaginal birth, make sure to have a few supplies that will be helpful in the event of a c-section. Being a new mom is hard! Make sure you have someone to talk about the ups and downs of it all. Your partner would be a great start, but if you’re doing this solo, or your partner just isn’t that much support, find someone else. Start calling up a caring family member, or make some new mommy friends online. Facebook is a great place for this! You can find a local moms group and see if anyone has children the same age, or if anyone has a mommy group that meets up regularly. If your breastfeeding, find a local La Leche League group. It’s full of brand new moms, many who will have the same struggles you have! Point is, there are going to be lots of emotions. You’ll probably have a few breakdowns as well. This is all normal, but talking through it can relieve a lot of pressure and stress. I suggest finding one thing that makes you feel awesome and do it daily. For me, that was a hot shower. The water just felt good and relaxed my muscles. There are a bunch of things that you could do, just find one that calls to you! If you can do these things, you will be off to a great start in motherhood. It will help you be a happier, calmer mama. And you’ll just enjoy life a little better.